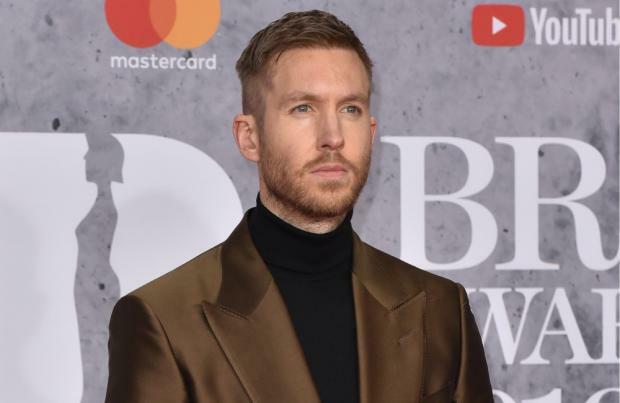 Calvin Harris spent almost £80,000 on dancing animals for his BRIT Awards performance. The 35-year-old DJ – who scooped both British Single for his Dua Lipa collaboration 'One Kiss' and Best Producer at the ceremony on Tuesday (20.02.19) – insisted on having a crab and dragon made for his segment to echo those featured in the video for his award-winning single, The Sun newspaper reports. And that's not all, as Calvin spared no expense on other elements of his performance – a medley for which he was joined by Dua, Rag 'n' Bone Man, Sam Smith and Winnie Harlow – including snow, a forest, a mountain, raining rose petals, pyrotechnics, a giant glitter ball and 100 backing dancers. The 'Acceptable in the 80s' hitmaker's wins at the O2 in London on Tuesday were his first trophies following 14 previous unsuccessful nominations. Dua's performance with Calvin at the BRITs came just 10 days after she took to the stage at the Grammy Awards in Los Angeles to sing with St. Vincent and she admitted it was "surreal" to fit in two such high-profile events in a short space of time. She said: "It's surreal. Crazy. And honestly I feel like I've been in rehearsals for the past month just getting ready for it all, but it feels so good to be home." And despite having been at many award shows, she still isn't used to the experience. When asked if she's a pro at award ceremonies now, Dua said: "No. Always really weird, always really nervous. Everything's so exciting, but I get really nervous when I'm performing because I just ... I dunno, I just wanna put on a really good show so I feel a lot a pressure with that. But I've turned all my nervous butterflies into really excited ones, so that's where I'm at."